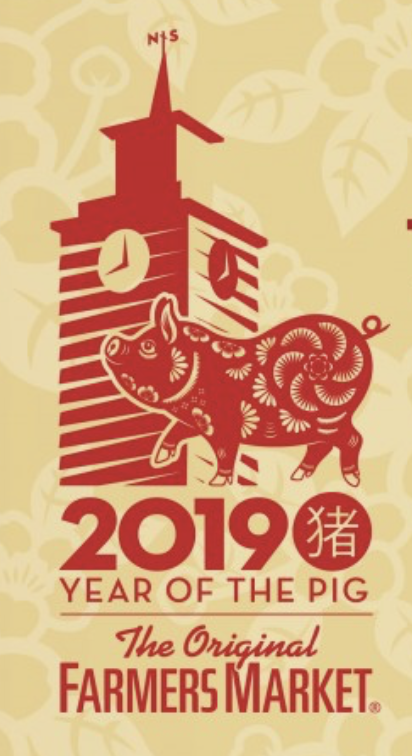 The Chinese New Year officially began on February 5th, and continues through the 19th, welcoming the Year of the Pig. With huge Chinese communities throughout L.A., including Chinatown in Downtown Los Angeles, Monterey Park, San Marino, Anaheim and Long Beach, there are about 530,000 Chinese-Americans. We are 2nd only to New York in population numbers, so look for many activities throughout the area. When in L.A. one can visit the Chinese American Museum in DTLA, located at 425 N. Los Angeles Street. 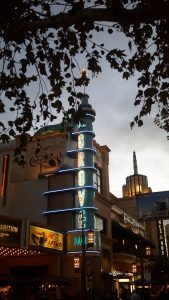 Upcoming events include the March 7th Survival and Loss: A Joint Discussion of Los Angeles and San Francisco Chinatowns. The Original Farmers Market in Hollywood also has dozens of Lunar New Year “Lucky 8” Specials between now and February 10th. 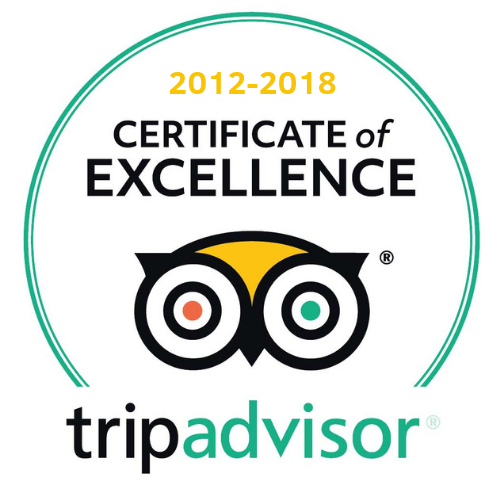 They include a chopped pork sandwich with coleslaw for $8.88 at Bryan’s Pit BBQ, Pork Noodle Soup for $8 or BBQ Pork w/ Chow Mein and Fried Rice for $8.88 at China Depot, an $8 glass of Squealing Pig Sauvignon Blanc for $8 at EB’s Beer and Wine, .88 cent eggrolls at Singapore’s Banana Leaf (one of our favorite vendors), or a Falafel or Shawarma Gyro Sandwich for 8 bucks at Moishe’s Restaurant. Of course there’s dozens of other amazing vendors here with other Lucky 8 specials, along with a handful of produce stands, fresh meat butchers, souvenir shops, ice cream, candy and fudge shops, doughnuts, coffee stands, and so much more. 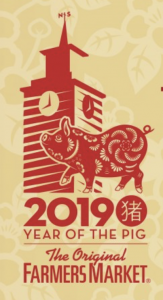 Plus, Lunar New Year Celebration: Year of the Pig, takes place on Sunday, February 17, 2019 from 2p-5p at Farmers Market and The Grove L.A. Look for Chinese Dragon and Lion Dances, martial arts demos, a pig statue unveiling, and many more Year of the Pig activities. Happy Chinese New Year from all of us at Glitterati Tours LA!